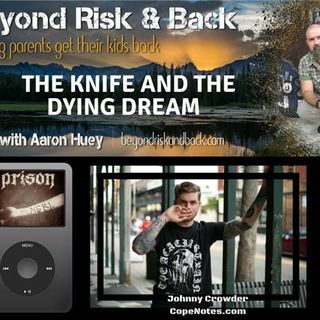 Aaron Huey, founder of Firemountain Residential Treatment Center, and (metal head) speaks with Johnny Crowder, CEO of Cope Notes, and (metal artist) talk about metal, fans, and hope for teens who suffer. Johnny is the lead singer of Prison, creator of the app Cope Notes, a groundbreaking phone app for teens (and anyone) who suffer from mental illness, and an outspoken role model for heavy metal fans looking to get help for their mental illness and suicidality. Prison’s music is intense, ... See More aggressive and brutally honest.